If you’re feeling really ambitious, it is possible to paddle (with intermediate to expert skills) all the way from Greenfield to the ocean just below Mill Village. You’ll need a high water level for this route to be passable. Since the road is close by, you can also choose to exit at many points along the way. From the river road, this section of river looks like a series of boulder gardens, ledges and drops with a few long still waters in between. 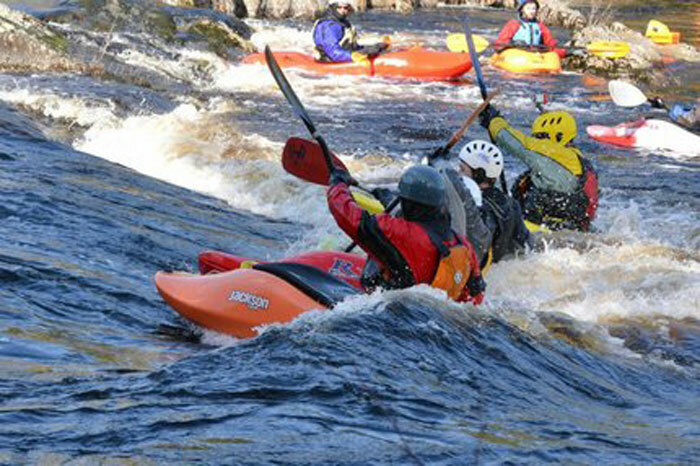 It seems suited to hardy paddlers looking for a real thrashing. The route is described in the Canoe Nova Scotia notes so presumably it can be done by experienced paddlers. This was also the route used by the native Mi’kmaq to get from Greenfield to their burial grounds near Port Medway.